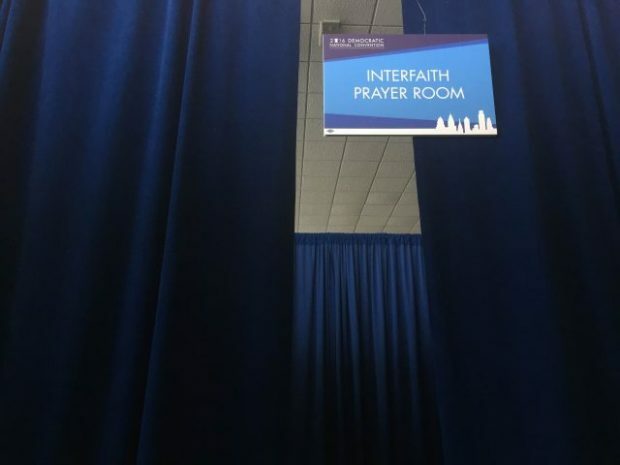 PHILADELPHIA — The Democratic National Convention has curtained off several “interfaith” spaces for prayer, but the only sign of religion in any of the spaces is Islam. 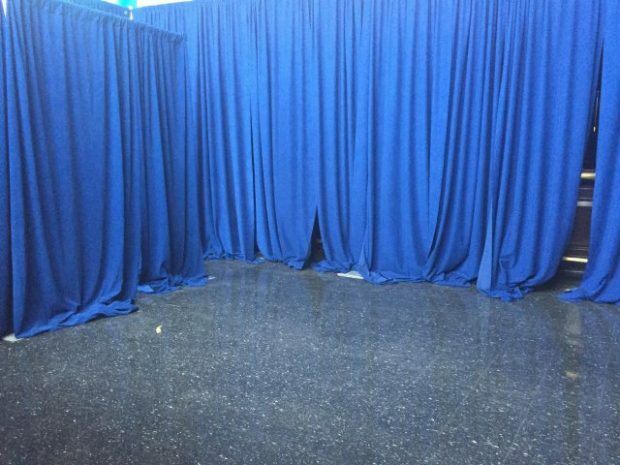 Kind of surprising for a so-called interfaith prayer area. If they can set up a huge hand sanitizing station and figure out which way is Mecca, seems like grabbing a copy of a bible or a crucifix wouldn’t be a huge deal. Or a drum for the new age types. Or even some incense to help out Hindu believers. How about a pen and paper for believers who prefer to journal their prayers? Or a Jewish prayer book? 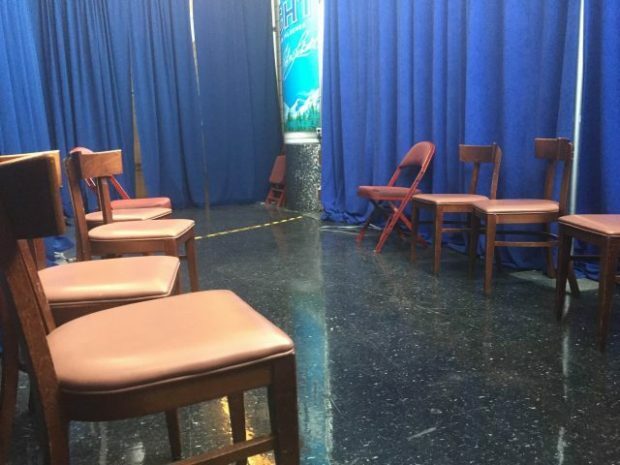 The spaces were also devoid of praying people, with the exception of one woman wearing Birkenstocks and a Bernie Sanders T-shirt plopped on the floor next to some chairs, casually swiping through her iPhone. 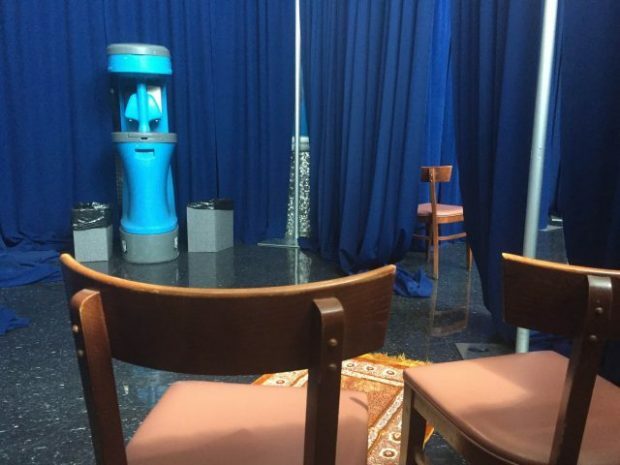 The prayer room is flanked by a “quiet and recovery room,” also empty except for some chairs, and a space for nursing mothers (inexplicably occupied by two men when this reporter walked through).